Wonder Women V begins today! 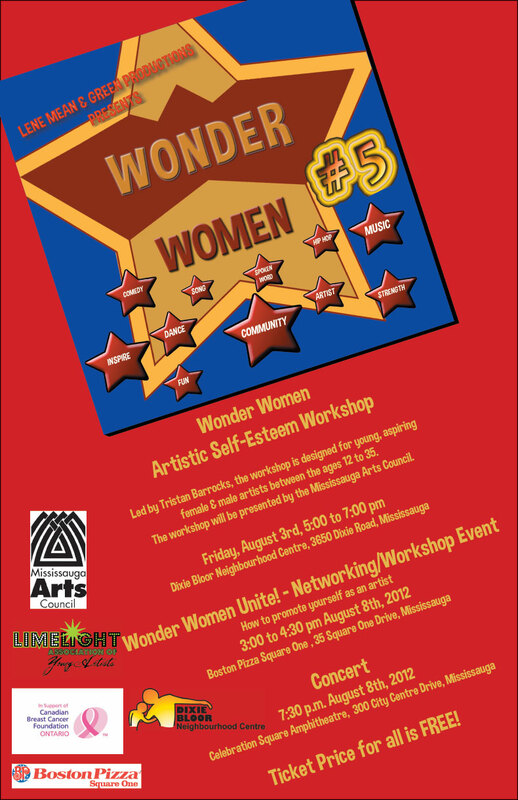 Description: Conducted by the Mississauga Arts Council, the workshop is for young female artists to showcase their creations. Description: How to promote yourself as an artist. Love this poster so frickin’ much! Can’t wait to see these performances.